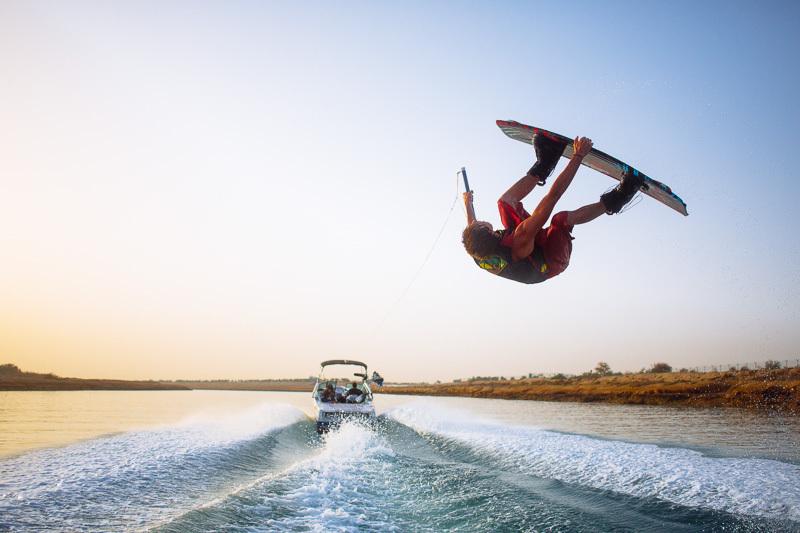 Our range of wake boats including two 21V Epics and a Malibu V Ride 21 and our dedicated Centurion Enzo FX 22 Wakesurfing will keep you busy doing what you came to, get the hangtime to develop your new trick list or surf till your legs cant take it anymore. The boats are perfectly maintained and equipped with enough ballast to build a perfect, smooth wake to send you into the stratosphere. If you feel like backing it off we simply dump some excess water and lift the wedge. 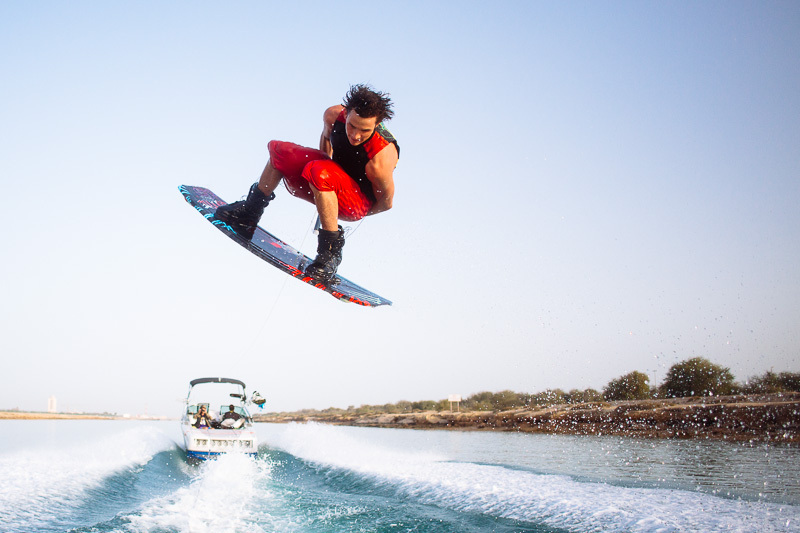 Wakeboarding in Dubai changes the game. 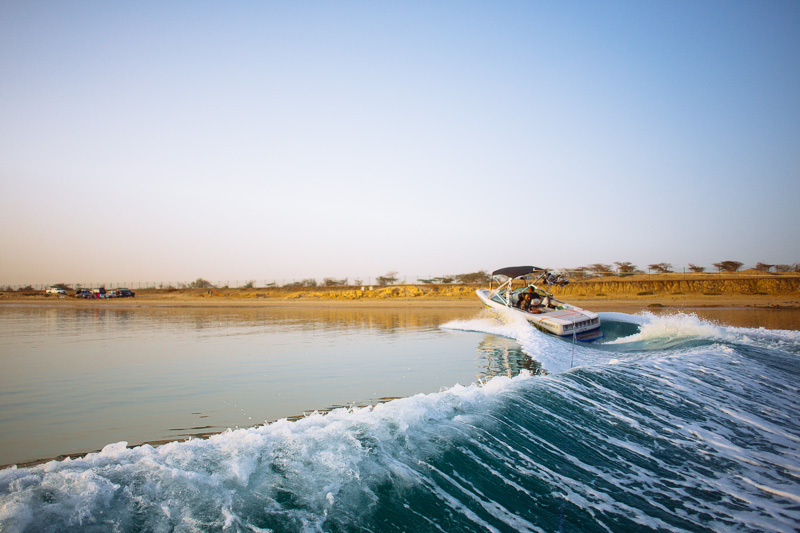 Warm water all year round will have you riding hours on hours until you are hitting the wake and landing way out in the flats on all your manoeuvres. 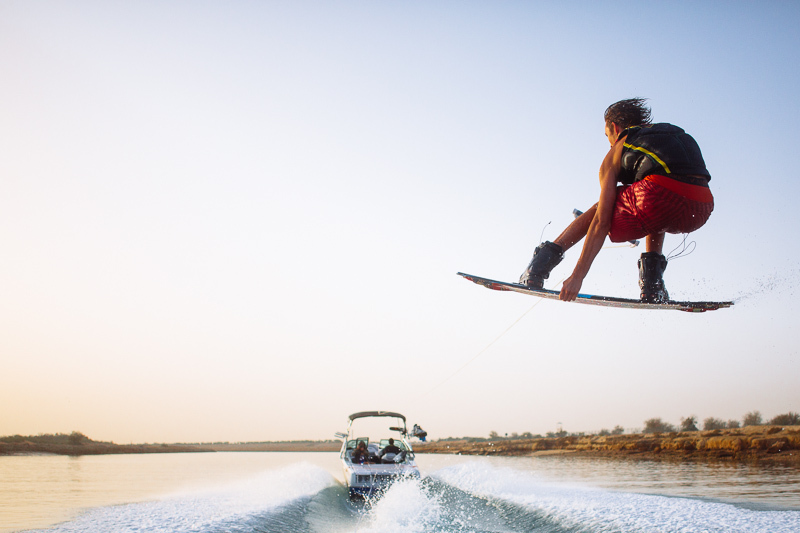 Whatever type of riding style, we have a wake that will suit you.